An easily recognizable face in Hollywood, Bruce Willis is a true thespian who has been in the acting scene for over three decades. Like many other celebrities, the multiple-award-winning actor triumphed over several challenges including stuttering, ditching school and odd jobs before he found fame. With several onstage, small, and big screen features to his credit, Willis has become one of the most successful and influential Hollywood figures of this era. In case you have been unaware that there’s more to Bruce Willis than his onscreen characters, here’s an insight into the actor’s real life. 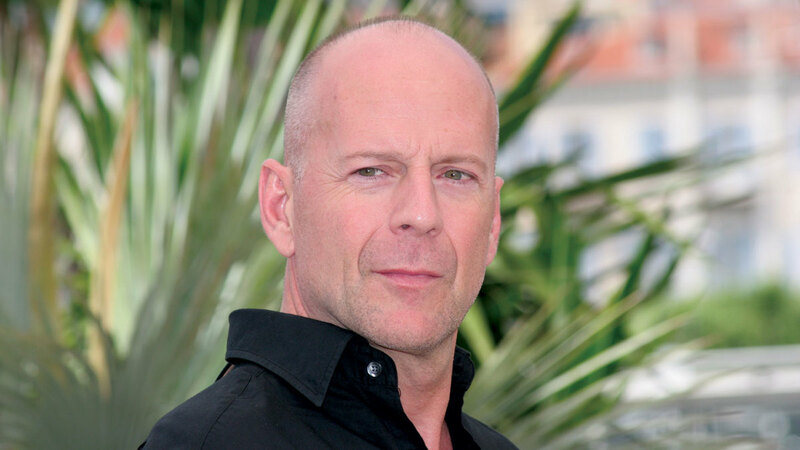 Walter Bruce Willis, the son of David Willis and Marlene K., was born on March 19, 1955. Though Bruce’s birthplace is Idar-Oberstein, Rhineland-Palatinate, West Germany, he is of mixed ethnicity as his dad is an American army veteran and his mom German. Bruce and his siblings David, Robert, and Florence were all raised in the US as their family relocated from Germany shortly after the actor was born. Willis attended Penns Grove High School where he was a popular student and served as the student council president. He later went on to study drama at Montclair State University but eventually dropped out to fully pursue a career in acting. Interestingly, the star actor we know today did not have it all easy while growing up and on his journey to fame. Firstly, he grew up in an average home as his mom worked in a bank while his dad worked as a welder and mechanic after being discharged from the army. But more importantly, Willis courageously overcame his childhood challenge as a stutterer with increased stage performances and speech therapy. Prior to becoming a famous actor, Willis first worked odd jobs such as a security guard and private investigator. He kicked off his acting career in the year 1977 and on stage in the off-Broadway production Heaven and Earth. Thereafter, he successfully appeared in several other plays. He debuted on the small screen with a role in the series Moonlighting which aired from 1985 to 1989. His outstanding performance in the series earned him both a Primetime Emmy Award and a Golden Globe Award. More so, Willis won an Emmy Award for his role as Paul Stevens in the popular TV series Friends in the year 2000. Willis made his big screen debut with the 1987 movie Blind Date. His breakthrough role came the next year when he played the role of officer John McClane in the hit action movie Die Hard. He later reprised the role in four of the movie’s sequels, Die hard 2 (1990), Die Hard with a vengeance (1995), Live Free or Die Hard (2007), and A Good Day to Die Hard (2013). Despite the success he recorded as an action hero in the movie, Willis did not rest on his laurels but followed up with several other hits over the years. Though he has an exhaustive list of film credits, some of his notable screen features include 1994’s Pulp Fiction, Armageddon (1998), Unbreakable (2000), Hostage (2005), Surrogates (2009), Moonrise Kingdom (2012), and RED 2 (2013). Bruce Willis has been married twice. His first marriage was with actress Demi Moore. The former couple who met on the set of the TV series Moonlighting got married on the 21st of November 1987. Together, they had three daughters, the first Rumer born on 16th August 1988, the second Scout born on 20th July 1991, and the third Tallulah born on 3rd February 1994. Sadly, after more than a decade together, Bruce and Demi split in October 2000. Being a high profile actor, Bruce’s relationships have always been headliners. After he split from Moore, the actor has been romantically linked to other women including Alisha Klass (2000 – 2001), Rachel Hunter (2001-2002), Emily Sandberg and Nadia Bjorlin both in 2002, Kim Cattrall (2003), Brooke Burns (2003 – 2004), Aida Yespica and Lindsay Lohan both in 2015, and Karen McDougal (2007), amongst others. Willis is currently married to model and actress Emma Heming. The couple who tied the knot on the 21st of March 2009, has two daughters together, Mabel Ray welcomed in 2012 and Evelyn Penn welcomed in 2014. Having been in the entertainment industry for more than three decades, Bruce Willis has amassed a huge fortune and successfully established himself as a Hollywood A-lister. The Die Hard actor’s net worth is currently estimated at $180 million. 1. The green-eyed actor towers at a height of 6 feet and weighs 83 kg (183 pounds). His body measurements are chest – 44 inches, waist – 34 inches, and biceps – 14 inches. 2. In addition to acting, Willis is also a producer and singer. In fact, he loves playing the harmonica and has an album, The Return of Bruno under his belt. 3. Willis suffered a hearing loss on the set of Die Hard due to very loud shootings. 4. The man has several properties scattered across different cities such as Manhattan, Los Angeles, New York City, Idaho, New Jersey, Montana, as well as in Turks and Caicos. 5. The Die Hard actor respects men of the military and regards them as his biggest heroes. In fact, he once traveled to Iraq to give moral support to soldiers of the U.S Army.